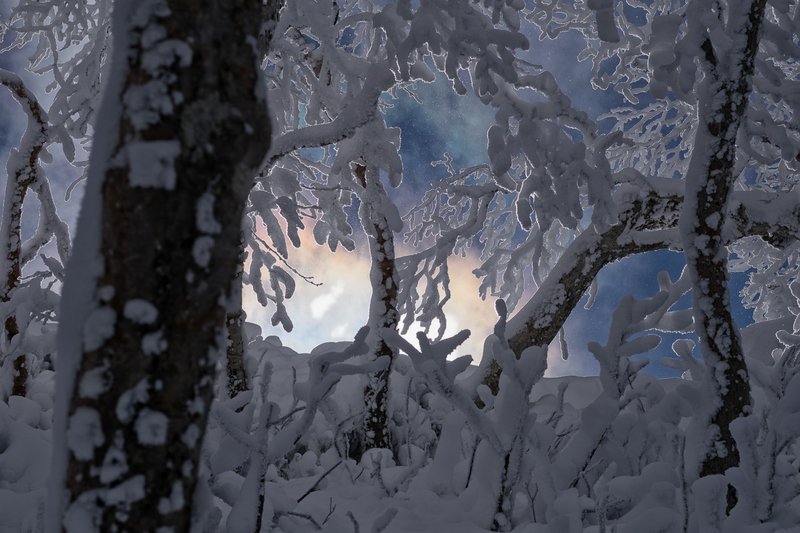 HDR image created out of 4 brackets to expand the dynamic range. Many photographers with a big budget buy the so-called trinity, that is f/2.8 constant aperture wide, standard and telephoto zoom lenses. Why? Because it is the common knowledge that is the way to go for any serious photographer. But my ‘go-to’ standard zoom lens is a f/4 constant aperture zoom lens, SIGMA 24-105mm f/4 DG OS HSM | Art, although I can afford more pricey standard zooms. I’ve taken tens of thousands of shots with this lens . Let me explain why I prefer this lens. This entry was posted in Gear, Mt. 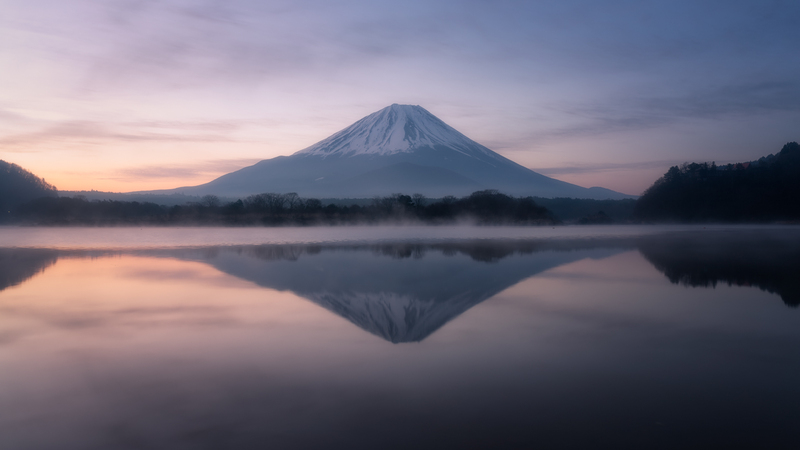 Fuji, Photography and tagged 24-105mm, camera, gear, Lens, SIGMA on 12/15/2015 by yuga. 1) The air is cleaner and Fuji is more visible than summer! 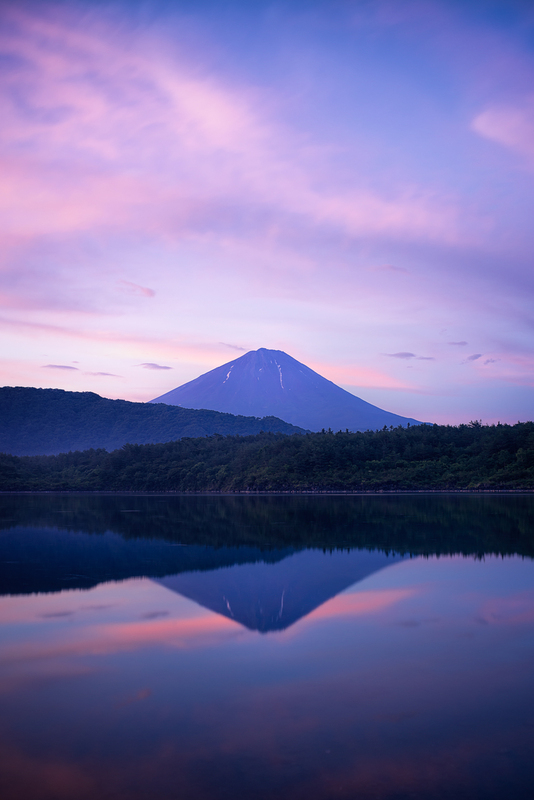 A lot of people visit the area in summer and are often disappointed that they can’t see Fuji. Even people living in the area like me, sometimes can’t see Fujisan for weeks. 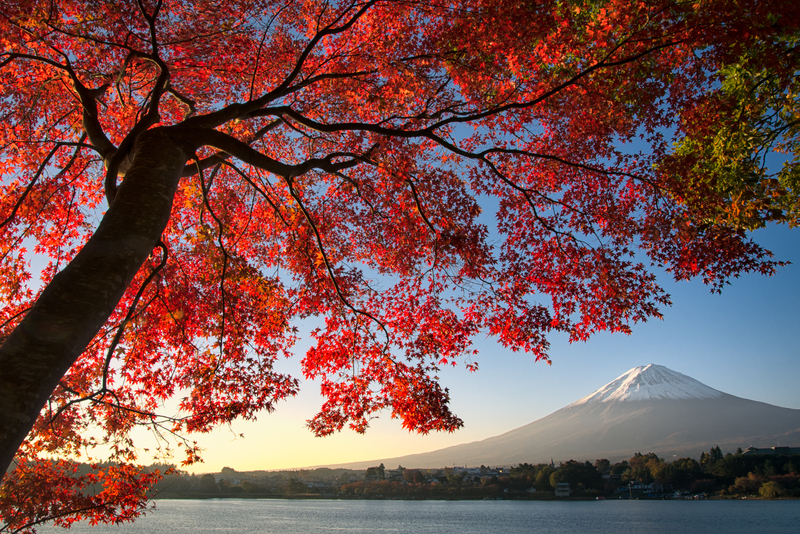 So the chance for you to see Fujisan in this season is quite slim. This entry was posted in Fujigoko, Information, Mt. 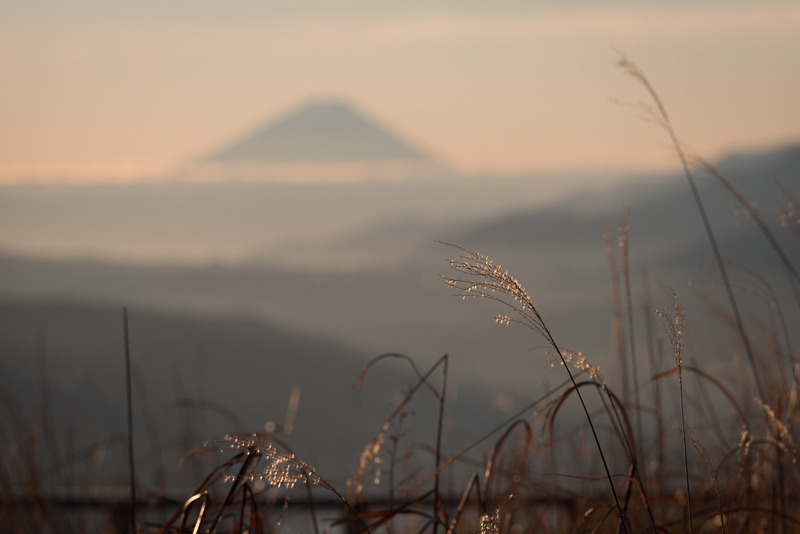 Fuji, Photography and tagged autumn, fuji, Fujigoko, fujisan, travel, 富士山, 旅行, 秋, 紅葉 on 10/19/2015 by yuga. This is the second part of the story. Read it after the first part. It was snowing at the top of Mount Eboshidake. It was very windy too. I could barely see a thing. I went down. But after 40 minutes of walk, the sky suddenly cleared up and I got direct sunlight for the first time in the mountain. 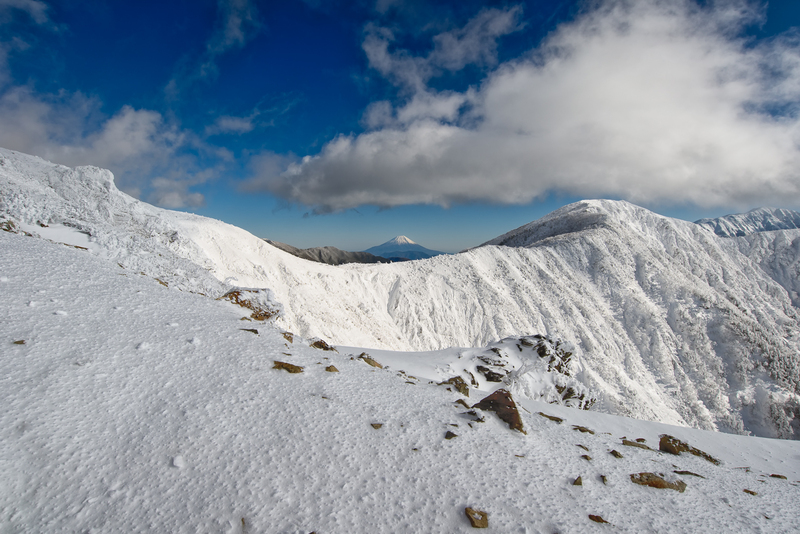 I debated myself whether to go back to the summit to shoot Fuji or go down to the parking lot. The time was 1:00PM. It was almost midwinter. The sun sets much earlier than summer. I only had 3 and a half hours of daylight. 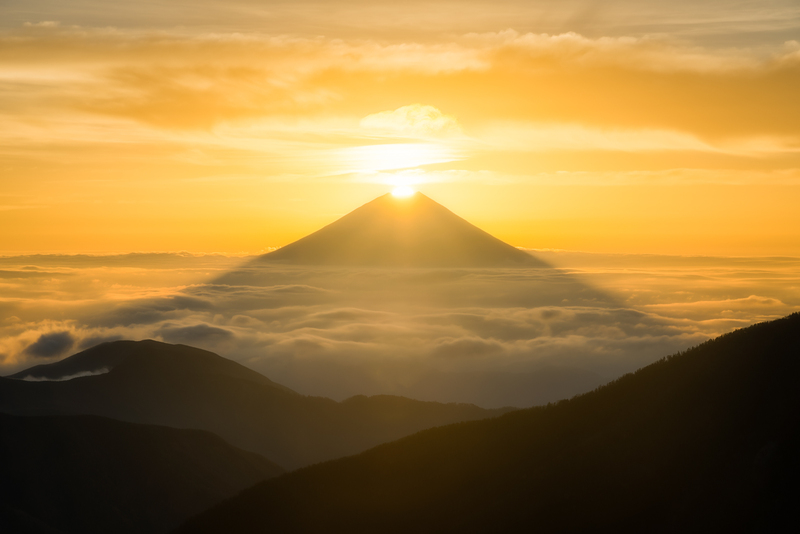 Going back to the top and shooting Fuji with sunset means I would have to stay near the summit for a night. I wavered in my decision. I decided to leave the mountain just 40 minutes ago. Once you decide to go home and think about relaxing in a hot bath, it isn’t easy to determine to go back into the snowstorm. The sky may turn back to grey while I’m climbing. I looked up. Thin clouds were moving fast. Sometimes they turned into rainbow colours by the sunlight. This entry was posted in Mountaineering, Mt. Fuji, Photography, Trekking and tagged alps, fuji, mountaineering, southern alps, Winter, 冬山, 南アルプス, 富士山, 山岳写真, 登山 on 12/16/2014 by yuga. Shooting Fujisan seems to be one of the favourite activities for retired people. Famous shooting locations are getting more and more crowded with old people. 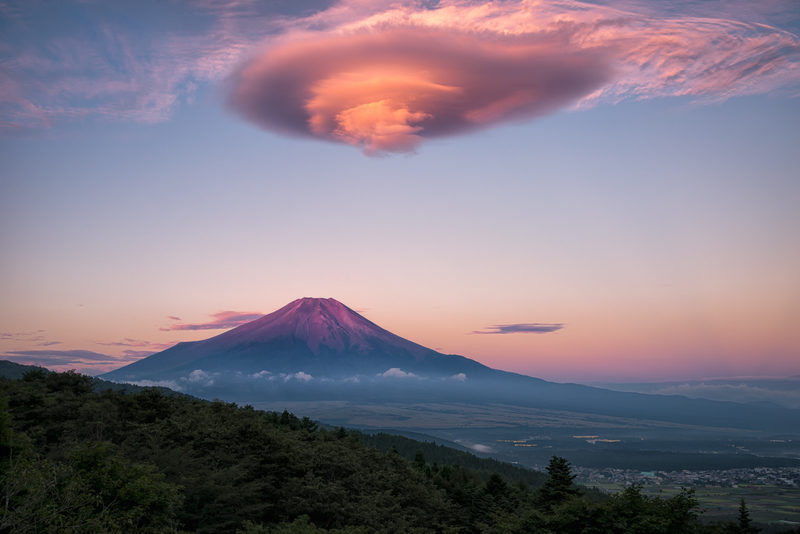 I want to believe that everyone who loves Fujisan is a good person. But sometimes it is not true. I often pick up trash thrown away by some of such amateur photographers. They don’t throw away trash at popular places where their deeds are witnessed by other people. They reveal their true personality when they’re seen by no one. That’s what mindless jerks does. Some take pictures from the back of the spots with wide angle lenses and try to chase off everyone comes into the frame. I’ve heard someone actually did such even to people who came earlier to the spot than him, saying “I always shoot Fuji from this position. You guys must go away.” But his ‘place’ was owned by someone else. Some get furious when someone briefly lights his camera with a headlight or penlight. If he really doesn’t want any artificial light to enter his camera, I think he should shoot in back-countries. I’m sick of all of this. I wanted to stay away from them. I wanted to be all alone in nature. This entry was posted in Mountaineering, Mt. 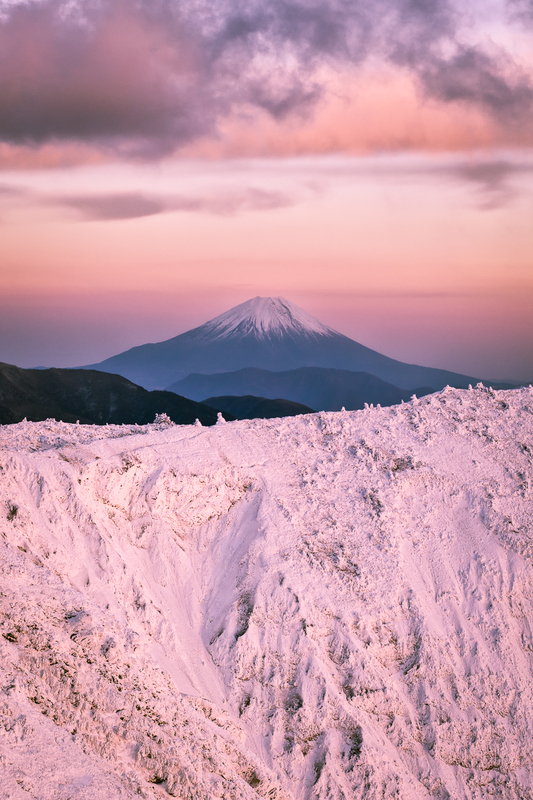 Fuji, Photography, Trekking and tagged alps, fuji, fujisan, mountaineering, photography, southern alps, 写真, 南アルプス, 富士山, 山岳写真, 撮影, 登山 on 12/11/2014 by yuga. What are the virgin landscapes of Japan? I have trouble translating this article. If I could, I wanted to translate the title of the article as “What are the Genfukeis of Japan?” A genfukei seems to be a concept only exists in Japan. Or at least, It doesn’t exist as an English word. I couldn’t find any words that directly correspond to the word. Genfukeis (原風景) are landscapes that remain in one’s memory most vividly when he/she gets old. It depends on each individual. But when we use the phrase “a genfukei of Japan (Nippon no Genfukei),” it indicates landscapes that invoke the emotions of nostalgia for the majority of the Japanese. After I posted a blog entry about Mt. Fuji and cosmos flowers, I received an unexpected reaction from a Slovakian guy. He argued that cosmos bipinnatus originated in Mexico and introduced to Japan in the Meiji era. They explosively proliferated in Japan, and now represent the autumn season. He said the photos are beautiful but it isn’t good in terms of environmental protection. Honestly speaking, I didn’t know that cosmos flowers were introduced to Japan in the 19th century. Kanji characters given to cosmos flowers is 秋桜. 秋 indicated autumn and 桜 indicates cherry blossoms. I vaguely thought that it didn’t originate in Japan but it was probably imported to Japan much before than that. Fuji with terraced rice fields and spider lilies, this is what we should call the Genfukei of Japan! 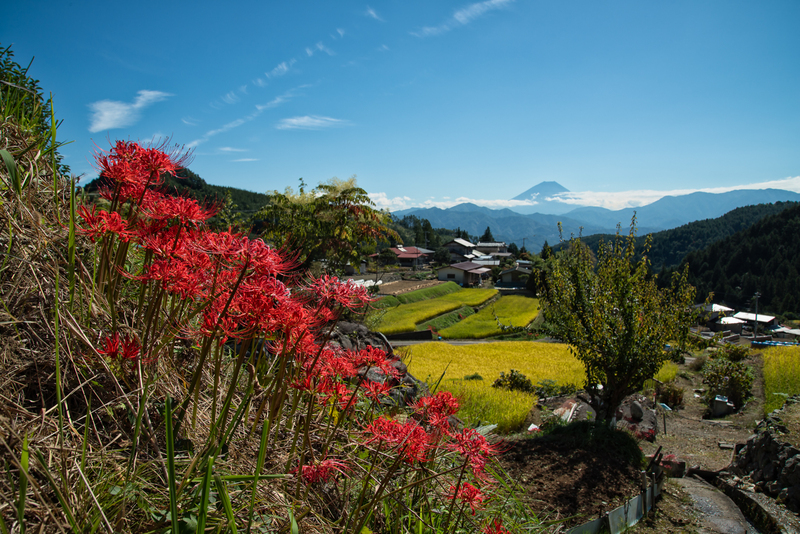 It is, however, said that spider lilies are originally from the Yangzi river area of China and they came to Japan when rice agriculture was introduced to Japan. This entry was posted in Essay, Mt. Fuji and tagged d800e, Japan, Landscape, mount fuji, Rice, Sakura, SIGMA 24-105mm, Terraced Field, サクラ, 原風景, 富士, 富士山, 彼岸花, 曼珠沙華, 桜, 棚田, 稲, 稲作 on 09/30/2014 by yuga. Come to think of it, it’s the equinox day! According to the weather report, it is going to be fine and Fuji will probably be visible. I hate shooting in a crowded place in weekends. It is a Tuesday. I’ll probably enjoy shooting Fuji without being bothered by anyone. 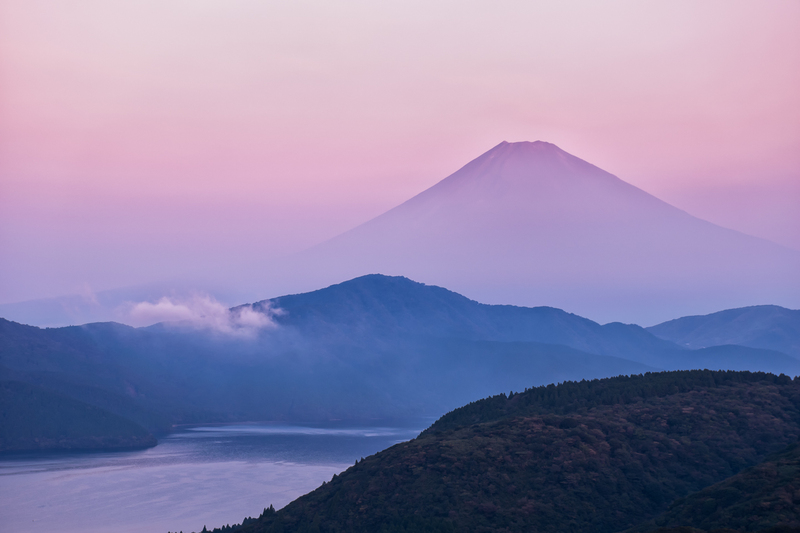 I somehow wanted to go to Taikanzan, a popular vantage point to admire Fuji in Hakone. This place was haunted by legendary Japanese painter Taikan Yokoyama as he loved drawing Mt. Fuji from here. This mountain was originally called Daikanzan but was changed into Taikanzan in memory of the great painter after he died. That’s the story written in guidebooks. I’ve never found any authentic sources to prove the story though. This entry was posted in Mt. 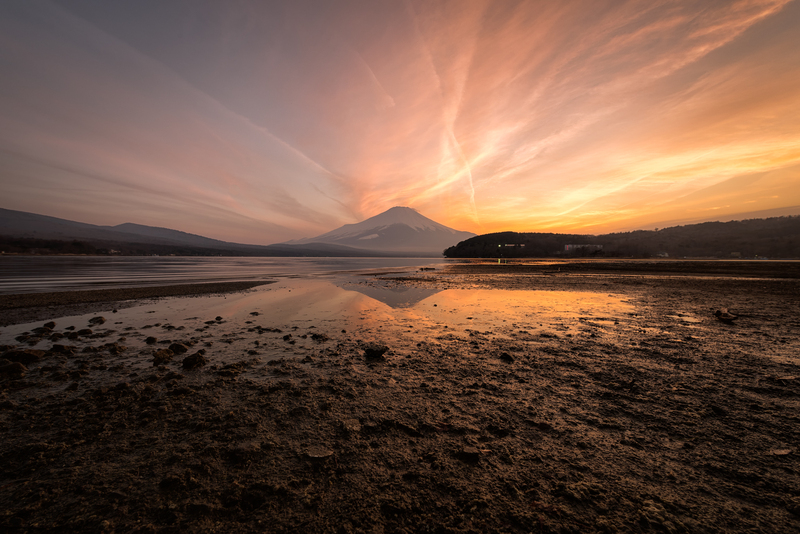 Fuji, Photography and tagged D5300, Equinox Day, fuji, Hakone, mount fuji, nikon, Taikan Yokoyama, α7, お彼岸, 十国峠, 大観山, 富士, 富士山, 横山大観, 秋分の日, 箱根 on 09/24/2014 by yuga.